I am Sushmitha C.M, a student of MATS Institute of Management and Entrepreneurship (MIME). I would like to share my placement experience with you all as it was one of the best days of my life. In this 2 years of PGDM course, MIME provided the best platform for us to grow and develop. MIME is the institute where you can be yourself and explore the things without any fear and hesitation. The opportunities you get here is beyond expectations. Talking about our beloved faculty, they are very friendly and helpful. They make the class very interesting and interactive by coming up with discussions where we were able to contribute our ideas and thoughts. They give us the best solution for anything we place in front of them. The placement cell in this institution is doing a great job. They are getting the best of the companies for students. 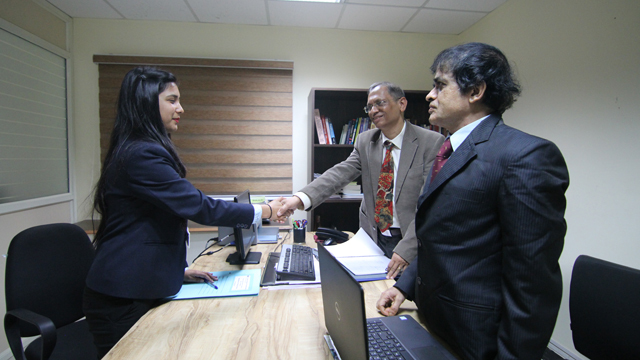 They have arranged many training programs which has helped us in knowing the interview process. This has also helped us to skill up our knowledge and to improve our self. When recruiters visit a campus, two of the most common forms of interviews conducted are behavioral event interviews and competency based interviews. I was excited at the same time very nervous as this is my dream job and want to bag it somehow. The day started with the aptitude test which took place a week before the main process KPMG team gave us a presentation about the KPMG family. All the tension, restlessness, anxiety started to increase when they told us in the beginning that the aptitude test results will be announced after the presentation. Finally the presentation got over and I kept my fingers crossed. I was eagerly waiting to hear my name to be announced. After that we had a group discussion round, I had no idea how the topic will be and what to speak, but I gathered all the courage and strength I have to speak in front of my competitors and yes, I spoke loud with full of confidence . I was extremely happy that I could crack the interview and achieve my dream job in KPMG as an “Associate Auditor” where I have to manage the audit reports of U.S and Canada clients. This wouldn’t have been possible without the help of MIME and the wonderful placement cell that we have got.